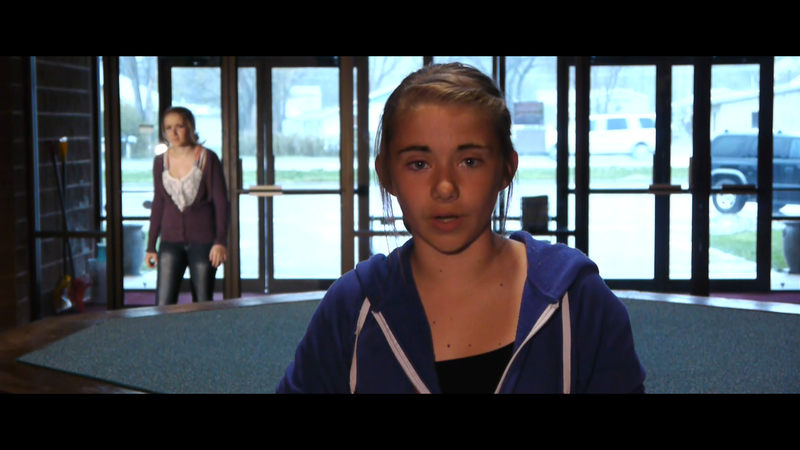 Fourth Rough Cut of Never Been to Graceland is Complete! After a late-night editing session, we are one step closer to being finished with the film! We are about one last edit away from a picture lock and we are sitting down this weekend to begin work on the sound mix and music! We cannot wait to share this film with you and August cannot come soon enough! Until then, please enjoy another preview clip, this time featuring David Scott and Harland Allen as Bryan and Larry! Zoey’s Grandma Margaret is having a hard time figuring out the secret ingredient for her mother’s old cookie recipe. But when she accidentally confuses a magic time machine for a kitchen timer, Grandma finds herself 60 years in the past and has to disguise herself as her own Great Aunt Ima! Now, Zoey and her best friend Spencer have to find a way to get bring Grandma home from the past before her actions start changing the futures of her teenage self, Mags, her friends, and own family – including Zoey! I Sent My Grandma Into the Past! (and other Chronological Conundrums) is the second fully original play by writer Justin Gausman and like “The Christmas Heist” before it, offers an exciting blend of hilarious hijinks, dramatic moments, fun action and unexpected twists. Auditions will be held at 7:00pm on Monday, February 13, 2017 at the Mueller Civic Center in Hot Springs, SD. Performances will be March 30, March 31 and April 1, 2017. HOT SPRINGS – “The Christmas Heist,” an original play written by Hot Spring native Justin Gausman, and produced by the Southern Hills Community Theatre, will be performed at Hot Springs Mueller Center, Thursday, Friday and Saturday, Dec. 10 to 12. The play, Gausman says, takes place in a fictional Rocky Mountains community called Pine Springs, just a few days before Christmas in 1987. That’s when a group of nerdy and outcast teens (Alex, Kenzie, Shawna and Robin) discover that the mayor of Pine Springs is plotting with a shady businessman to close their favorite hangout – a motel called Gus’s – to make way for a new shopping plaza, to be built along a new stretch of highway being constructed through town, they plan a protest. Meanwhile, a bank robbery in the adjacent county has everyone on edge, looking for suspicious strangers. Just such a stranger, Ben, strolls into Pine Springs – and Gus’s – when his car breaks down. The kids protest plans go awry. However, suspecting Ben to be the bank robber, they decide to kidnap him and force him to help them break into city hall and steal back proof of the mayor’s plans. Things get even more complicated when cheerleader Kelly (Alex has a crush on her) decides she wants to help them. She happens to be the mayor’s step-daughter. The 1980s throwbacks come from Gausman’s fascination with the 1980s. “I just have an affinity for 80s culture.” He particularly likes the work of screenwriter, producer and filmmaker John Hughes (Sixteen Candles, Weird Science, Ferris Bueller’s Day Off, Pretty in Pink) and Chris Columbus (Gremlins, The Goonies) he said. “I was born the year after the play is set,” he said, noting that his parents were teenagers in the 1980s. His mother is a Hot Springs native, and she met his father at Chadron State College. From these roots, sprang Gausman’s enjoyment of the music and movies of 1980s. “The Christmas Heist,” Gausman said, is the first full script he has written, and his first fully original script for Southern Hills Community Theatre. Schooled in Hot Springs, and active in drama and theatre as a Bison, Gausman didn’t go to college, despite an offer to attend a private film school, due to extenuating circumstances in his private life. After living in Rapid City for a few years, he decided to come back to Hot Springs in 2012 and has been heavily involved in the community ever since with organizations, like Save the VA, the Cultural Development Organization, and others. He credits Betsy Savage for getting him into community theatre. He recalled community plays when he was a child – Jack in the Beanstalk in particular. Gausman says that he likes to write movie or play-length scripts as opposed to books or short stories because he enjoys the format, and readership of books and novels is way down. The Mueller Center doors and box office, to purchase tickets at the door, will open at 6:30 p.m., and “The Christmas Heist” begins at 7 p.m. each night. Tickets are $8 for adults; $6 for seniors (age 60-plus) and children under 12; and children under 6 get in free. Southern Hills Community Theatre, a 501c3, is a fully-volunteer non-profit community theatre dedicated to presenting quality, live,family-friendly performances. For more information about the play and the group visit the website, http://www.shct.org. 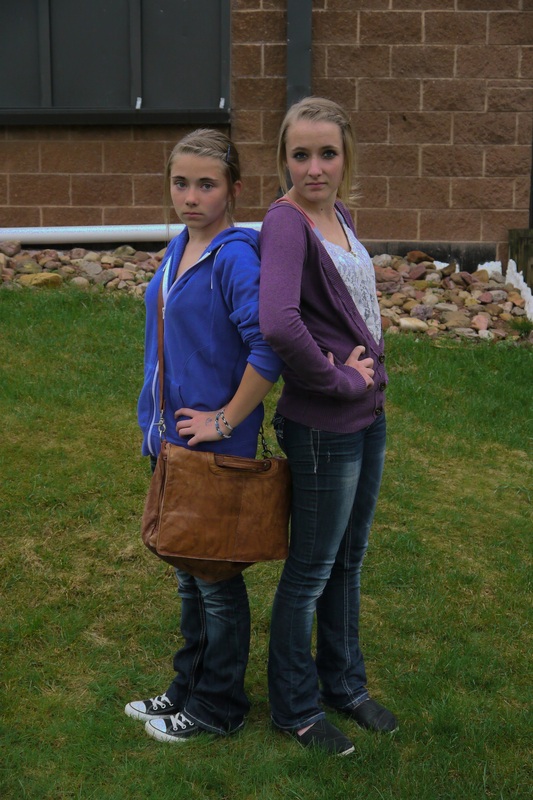 Sisters Aryona (left) and Aspen Watts (right) potray Jamie Klotz at different points in her life in the sequel to the 2013 adventure comedy. HOT SPRINGS, SD – The public is invited to attend the premiere of the independent, locally-produced feature film “The Extraordinary Secret of Jamie Klotz’s Diary” also known simply as Jamie Klotz’s Diary 2, on May 29, 2015 at 7:00 pm at the Mueller Civic Center at 801 S 6th St. in Hot Springs. Jamie Klotz’s Diary 2 is a sequel to the original Jamie Klotz’s Diary movie that premiered in 2013, was written and directed by Hot Springs filmmaker Justin Gausman, and was filmed in and around the Hot Springs area with a cast of Black Hills-area actors, including leads Aspen Watts, Daniel Crossman, both of Rapid City, and Sam Martin, of Chadron, Ne. In the film, the titular character returns home from her first year at college to discover that someone has not only stolen her diary (again) but also gone back in time and changed her life – meaning her lifelong friends are now strangers… and vice-versa. Jamie goes on an adventure through her own life, past, present and future, to save the friendships she holds dear. “PJ” gives one of Jamie Klotz’s famous monologues while the elder Jamie looks on, puzzled. For anyone who may have missed the first movie, don’t worry. The first film, The Incredible Search for Jamie Klotz’s Diary, will be screening Saturday, May 16, 2015 at the Chop House Cinema in Lead, SD, as part of a “Local Filmmakers Night” event there and a matinee presentation of the first film will also be held at 4:30pm on May 29 at the Mueller Center in Hot Springs, prior to the premiere. Admission to both the matinee and premiere is free, but donations will be accepted to help “kick start” the next film project by Gausman, Never Been to Graceland, a dramatic short film about fans of Elvis Presley traveling through South Dakota & Nebraska to find a mythical long-lost Presley film. The evening program will include a Q&A with the cast and crew and a brief presentation on Gausman’s future projects and recent collaborations. Support is provided in part by the Hot Springs Area Chamber of Commerce and the City of Hot Springs. The cast also includes Okoye Zimiga, Isaiah Crossman, Garett Jack, Jassmine Epps, Dustin Aaberg and Aryona Watts. The film is appropriate for ages 10+. I’m excited to announce that while editing is progressing on Jamie Klotz’s Diary II & The Veterans Town and the script for Never Been to Graceland is still being written, that I will be starting development of a script for a theatrical play entitled “The Christmas Heist” that will be performed for the first time ever in Hot Springs on December 10-12, 2015 in partnership with Southern Hills Community Theatre. “The Christmas Heist” is set in 1987 and tells the story of a bank robber who finds himself stranded in a small mountain town after a botched heist mere days before Christmas, and finds himself embroiled in a battle between kids and authorities over the town’s local youth center, which the local city leadership wants to tear down to make way for a strip mall. 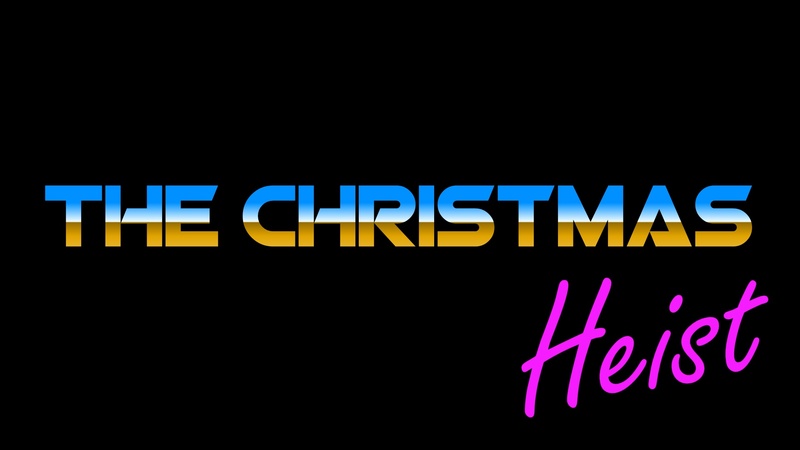 Classic Christmas themes like materialism versus idealism, greed, and compassion for those in need are explored in this nostalgic original play inspired by a mash-up of classic 80’s action/crime movies and classic 80’s family/holiday movies.